I’ve already talked before about the importance of packing light and now I need to start to think about exactly how light I intend to pack. 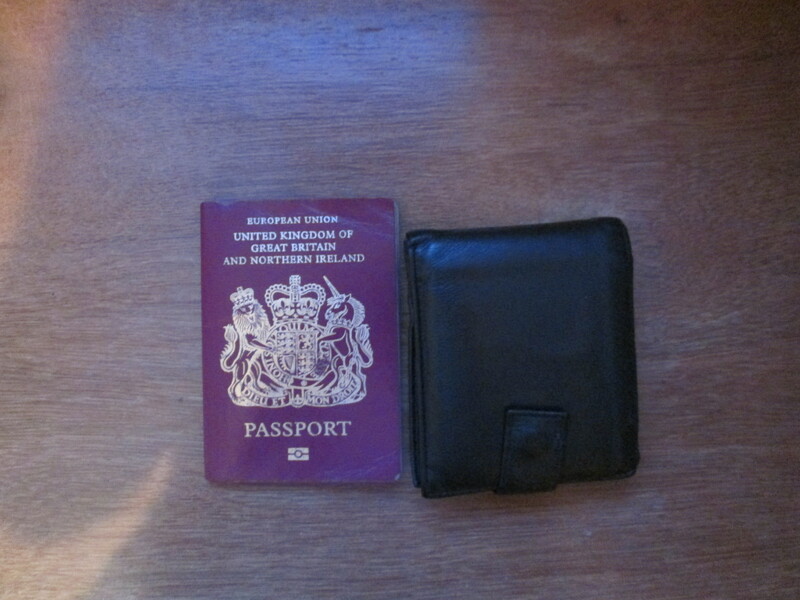 I once read about a guy who took only the clothes he was wearing, a toothbrush, his passport, wallet and a book. Once he’d finished a page of the book he tore it out and threw it away. I don’t think there’s any way I could travel that light but I’d like to think I’d give it a shot one day. The last two adventures have taught me a lot about the amount of clothes I need, you’d be amazed (actually, you probably wouldn’t) by the amount of costume changes I’ve seen some people go through over the course of a weekend. Come on guys, you’ve got to carry that! There’s also a lot to be said about the philosophy of “I’ll buy it when I get there.” It saves space/weight and you get a usable souvenir from where ever you are when you buy it. I’ve got a pair of red high-tops with Venice Beach sand in the bottom. 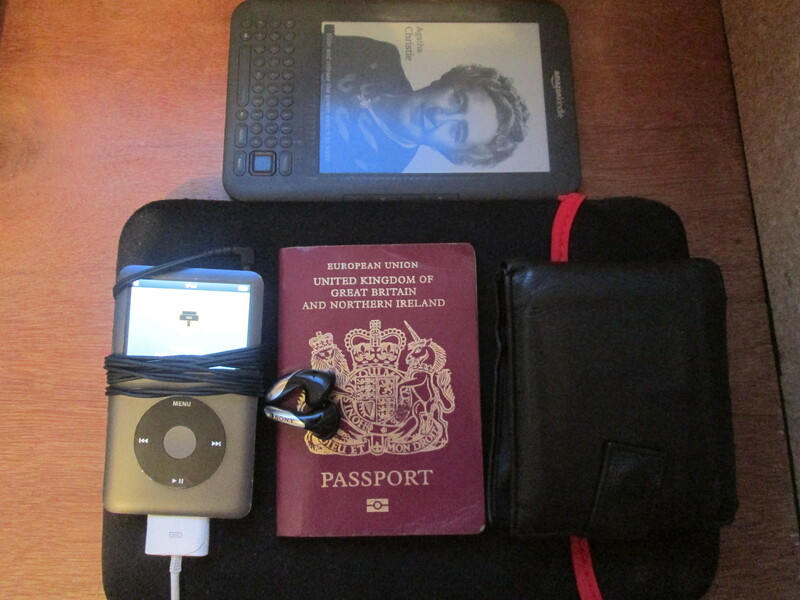 I wish it were avoidable but my hobbies and interests are best supported on the road with some helpful electronics. Kindle, for painless reading and excruciating web browsing. iPod, to live without my music would be impossible to do. Netbook, I’ve got a travel blog that I’ll need to update. Camera, said travel blog is nothing without my poor photography skills. Clothes, shoes, medicines, toiletries. It’s about taking what you need or less. I’m a pretty low-maintenance kind of guy and there is nothing that I can’t live without or pick up when I need it. Fortunate enough to be allergy free (occasional hayfever aside) and I’ve got no medical requirements. There’s room for a popular culture reference to a towel but I personally consider duct tape to be more functional. What about you, what’s are your must packs when on the road? Interesting topic. I am currently on a 3 month travel break so this means i need to be clever with what i pack. I carry a large ruck sack (for clothes and toiletries), a back pack (for important documents and my netbook and kindle) and a camera bag for my dslr, which I use to contain most important things such as passport. If i stay in cheap dodgy hostels, the camera bag will double off as pockets to leave my valuables in while i shower. One quirky thing i always pack for long travels is a small bag of washing powder. This allows me to recycle my clothes without bringing many. I am always intrigued by people who need to pack lots of clothes on travels. It is i imagine for the purpose of looking good in pictures, which is imo pointless and defeating the whole purpose of travelling.